The Plot: The Xfm X-Posure formula remains blindingly simple - three or so bands play live at the Barfly, their sets get recorded and then they get aired on Xfm and that's exactly what will happen this time too, albeit with an added twist as tonight fierce panda records, currently in the midst of their 20th anniversary celebrations, bring three of their newest signings to the party. Alternatively, in the words of the legendary presenter and compere John Kennedy: "I thought that as X-Posure was into its 15th year it was about time I had an X-Posure Live fierce panda special. As the label has always been such a consistently good place to find talent, ahem, just like the radio show, it seemed only right to combine powers and tap into the current seam of musical gold to be found in the panda mine." THE HOSTS (onstage 10.00pm) Five smartly-attired gentlemen from the North, The Hosts have been smouldering away in the margins, buffing up the buttons on their waistcoats and waiting for their moment to shine. Earlier this year they released the terrific ‘September Song’, a raffish slab of retromantic alt.pop which waltzed all over the nation’s radio waves, followed by the crushingly crescendo-laden ‘Softly, Softly’ album. After wise springtime support slots with Fitz & The Tantrums and Goldheart Assembly The Hosts release the gallopingly heroic ‘Give Your Love To Her’ single on fierce panda on May 5th. 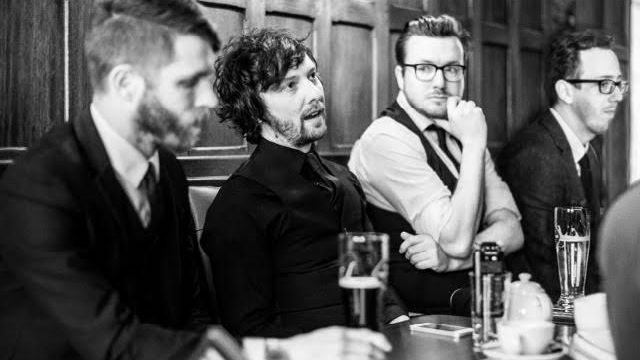 LONGFELLOW (onstage 8.30pm) It has been said before but we’ll say it again right blinking here: if you like your music with an epic resonance and a sense of heroic melancholy then Longfellow could well be Your New Favourite Band. Five heartbreakers-in-waiting they lurk in South London and create a modestly authentic mixture of indie and pop, bolstered by fearless melodies, large choruses and emotional lyrical twists. Returning to the Blighty fray after their SXSW showcase alongside the likes of Royal Blood, Thumpers and Public Service Broadcasting, this Xfm show also handily doubles up as a launch party for Longfellow’s gigantically huggy new single, ‘Kiss-Hug-Makeup’, released on fierce panda on May 19th. It’s a plan. And it’s come together.